1. Journalist Mamdouh Hamamra from Bethlehem, a correspondent for Al-Quds News Channel. 2. Journalist Amer Abu Arafa from Hebron, who works for Shehab News Agency. 3. Journalist Tariq Abu Zeid from Jenin, who works for Al-Aqsa TV. 4. Journalist Ahmad Halayqa from Hebron, who works for Al-Quds News Channel. 5. Qutaiba Qassem from Bethlehem, a freelance journalist working with several agencies. Initially, A source from the PA security forces states that the arrests were made based on "leaking information and communicating with hostile parties." 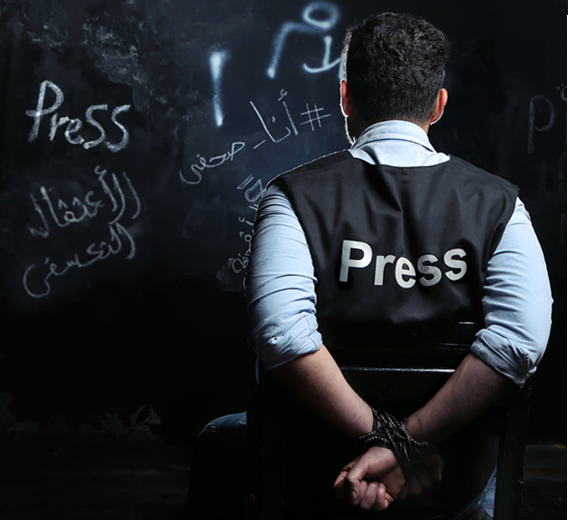 However, after the journalists' union contacted PA security forces this morning, their response was that the journalists were arrested in order to pressure Hamas to release another journalist detained in the Gaza Strip by Hamas.